I like Jimmy Bruno’s approach to developing chord voicings. Which is that you can derive almost everything you need just by knowing your dominant 7ths really well. 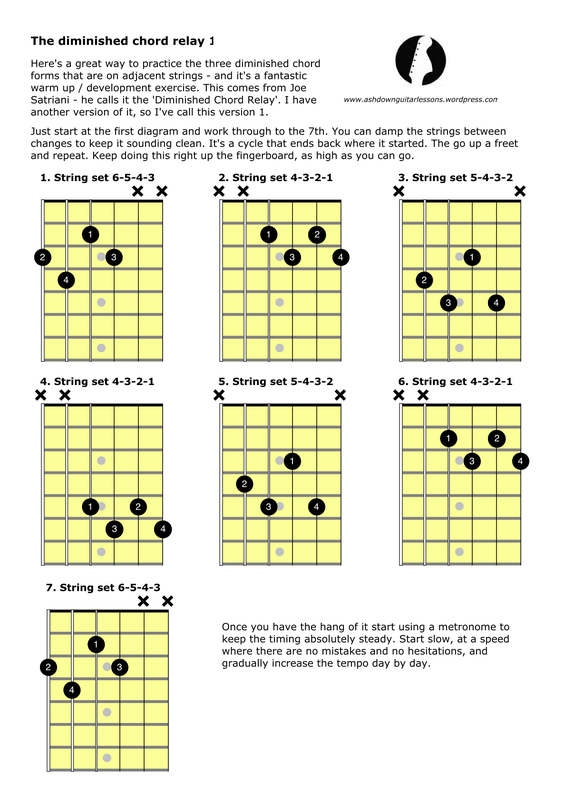 On each string set (i.e. group of four strings) there are four different forms of the dominant 7th. Knowing them gives you a vast range of options for your chord voicings, without the drudge of learning them from a ‘chord book’. I share Jimmy Bruno’s dislike of such books and his love of simplifying things. But I think it can be even simpler. 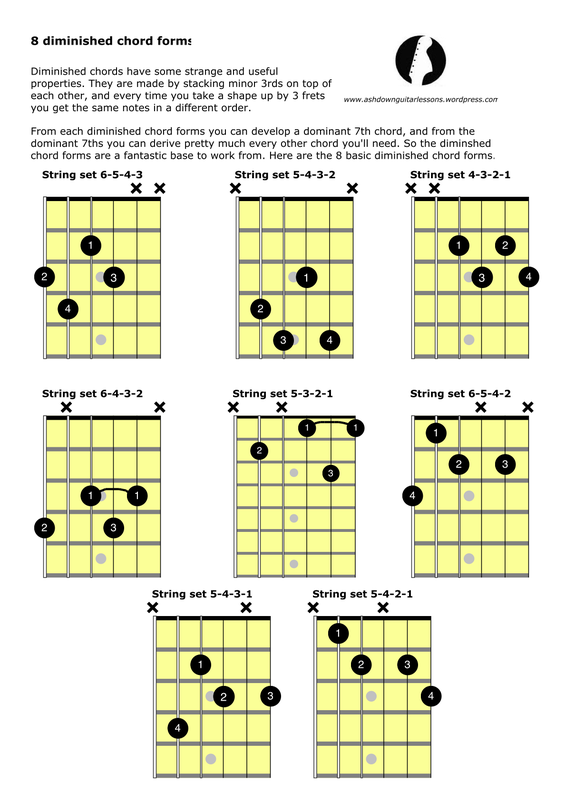 There are four dominant 7th chord forms for each string set. But you can derive each one from a single diminished 7th shape (I’ll cover how in a later post). Essentially each string set has only one useable diminished chord form. Know that shape and you can develop a universe of different chords from it. That’s very high leverage, and it makes it worth getting closely acquainted with the diminished chord forms. There are only eight in my reckoning, so it’s a huge simplification and a powerful way to develop your approach to chords. 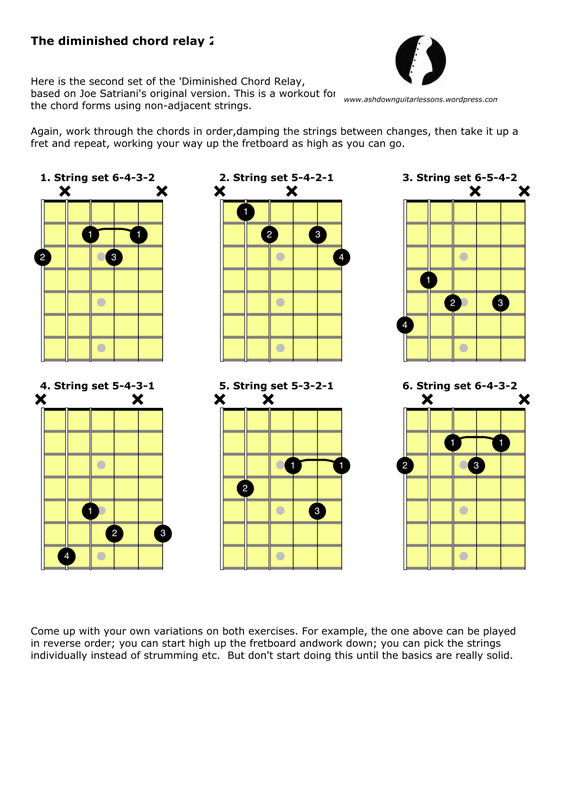 Here are the eight diminished chord forms. And here are some exercises for practicing them (credit due to the great Joe Satriani for the first). Drive on your Guitar boat and take on the beautiful journey.. So that’s what I’ve been doing wrong! The 3 minor diatonic scales (Dorian, Phrygian, Aeolian) are the obvious choice for playing over minor chords. Which of the 3 scales you play depends on the harmonic setting and the function of the chords you are playing over. 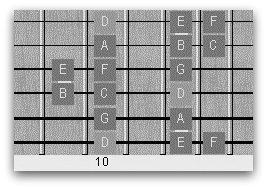 The Dorian mode is played over II chords, like in a II V I chord progression. Bellowhead – the best live band you’ll see! …or you will if you catch them on their current tour. Bellowhead in full flight is an awesome thing – my favourite live band by a mile. And – smugly – I saw them again this week at the Brighton Dome; simply stunning! They are incredibly tight, and their arrangements are brilliant and sophisticated and they’re just huge fun. Jon Boden in particular is mesmerising on stage. Here’s a clip of them at Shrewsbury folk festival earlier in the year. They’re playing their version of Haul Away, a typically inventive and driving arrangement.